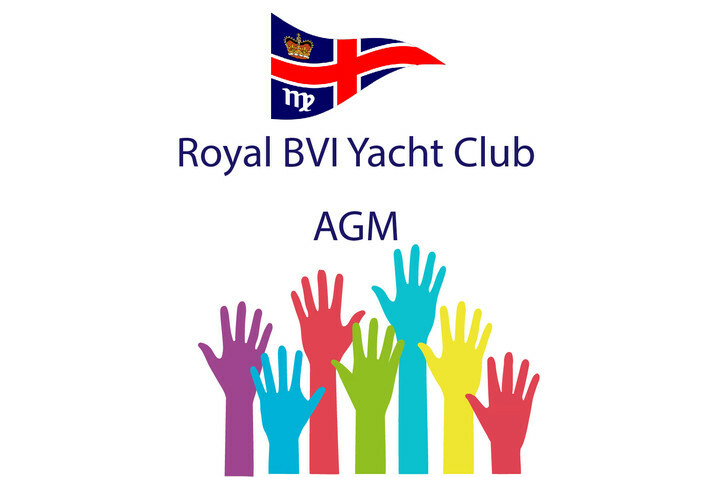 The 2019 Annual General Meeting of the Royal British Virgin Islands Yacht Club will be held at the Clubhouse on Thursday 28 February at 6:00pm. All Members in good standing are invited to attend the meeting. The business to be conducted at the AGM shall be: confirmation of the minutes of the 45th AGM; presentation by the Commodore of the Committee Annual Reports; Appointment of the Nominating Committee; Election of Officers; and any other business. Members are requested to submit the names of persons who are willing to stand for the above positions or the vacant positions of Youth Sailing Development and Watersports. All nominations must have a nominator and a seconder and be with the agreement of the person nominated. Note: Any Full members may nominate and second the nomination of any Full member with their agreement. This may be done in writing to the Secretary at any time prior to the meeting or at the meeting. If the nominated member is not present at the AGM, their written approval must be submitted in advance. Note 2: Only paid up Full members in good standing are entitled to vote at the AGM or hold office in the Club. If you are unable to attend and would like to name a proxy to vote on your behalf please contact the Secretary.